Lock in a great price for Casa Marcello - rated 8.3 by recent guests. Nice quiet hotel which was only a ten minute stroll from the centre. The location was OK but after dark difficult to find your way back. Room was very roomy and bright, bathroom was first class. Good quiet location in Old Town walking distance to most attractions and close to the tram and bus stops to get to the sites further out. Breakfast was good although get in early as they seem to stop maintaining it from 9:30am onwards. 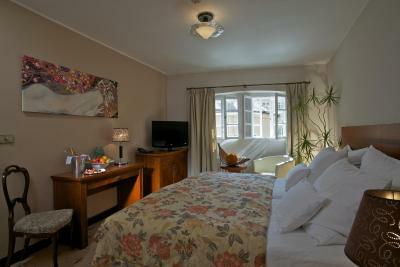 Comfy beds and spacious rooms. Also its only a 200m walk to Lokal Dlouha restaurant which has delicious meals and beers for good prices...definitely go eat here! The breakfast was really rich, with lot of fruits and vegetable. I have to say, that I was surprised about selection of tea! There were no tea bags, but tea leaves. Restaurant was nice and quiet. 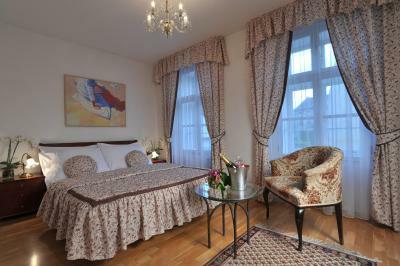 Lovely unique hotel, very clean, bed great to sleep in, quiet, short walk to Old Own Square. Plus had a gorgeous meal in Agnes Reataurant. I liked the fact that it's a walking distance from some attractions. However, it's not easy to find. It was very warm... almost too warm. Lots of choice for breakfast. Breakfast available for a long time. 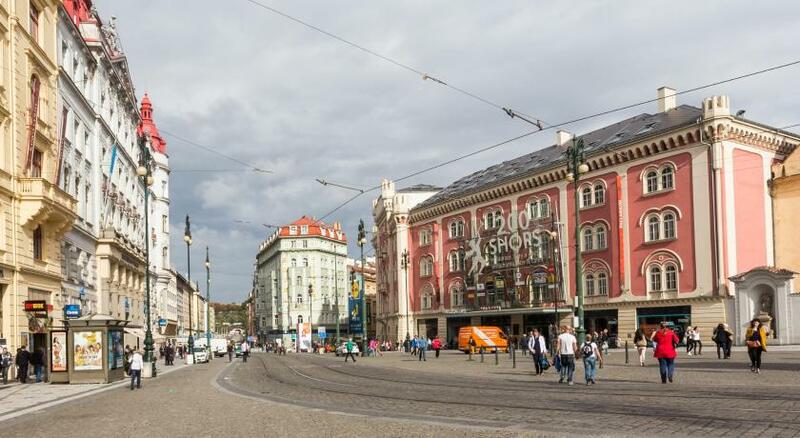 Short distance to the Old Town Square. Quiet location. Easy access to number 26 tram [from airport]. The Breakfast buffet was amazing! The room and bathroom were comfortable, cozy and big. The location was perfect. 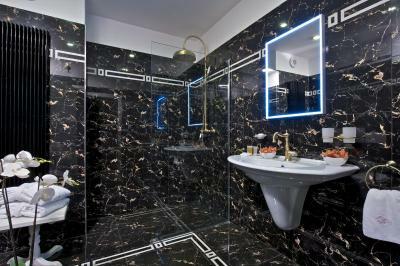 Gorgeous bathroom/ geometric floor tiled. Cramped bedroom for 2. 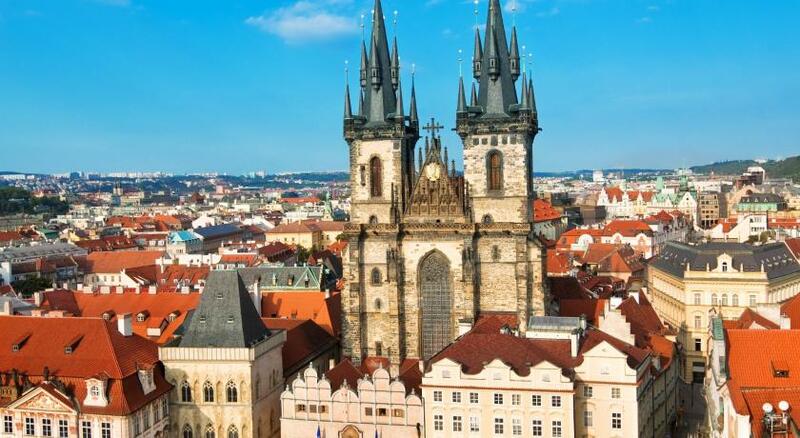 Hotel Casa Marcello is superbly situated next to the 1000 years-old St. Agnes Monastery and is just a few minutes' walk away from Charles Bridge and Old Town Square. The hotel benefits from a great location in peaceful surroundings and the very close proximity to many lively restaurants and bars. The Terrazza garden restaurant in the courtyard invites you to soak up the midday sun while enjoying a meal or sitting with a cold beer in the shade of an old acacia tree. A sense of history pervades the air and each of the 32 rooms has its own distinctive ambience and style, making your stay a memorable experience. Casa Marcello has been welcoming Booking.com guests since 26 May 2006. When would you like to stay at Casa Marcello? The Hotel was once an integral part of the former St. Agnes Convent, which was at that time a private aristocratic residence. 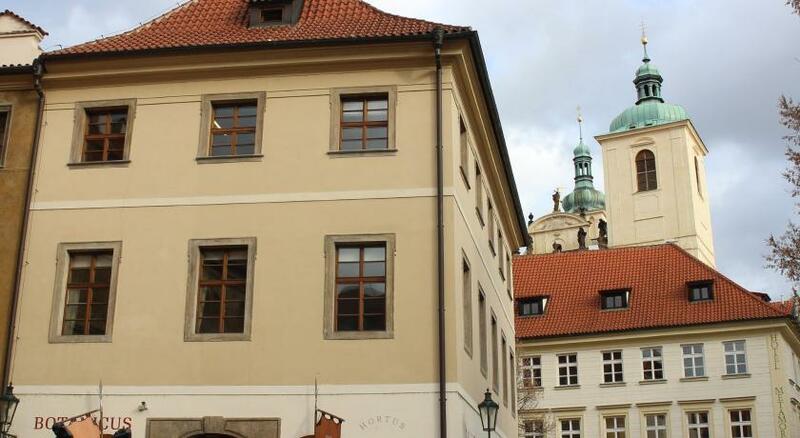 Even today, it retains its specific atmosphere, out-of-reach of the hustle and bustle of the streets of Prague. The rooms and their furnishing are compatible with the calm and pleasant atmosphere of the entire hotel and offer comfortable accommodation. House rules Casa Marcello takes special requests - add in the next step! Casa Marcello accepts these cards and reserves the right to temporarily hold an amount prior to arrival. Location, architecture, calm. A wonderful place. No curtain on the bedroom window although the room wasn’t overlooked it was very bright in the mornings. Breakfast could've been better. Not a lot of choice and the eggs where cold half of the time. The people at the front desk are always ready to help, with a smile! 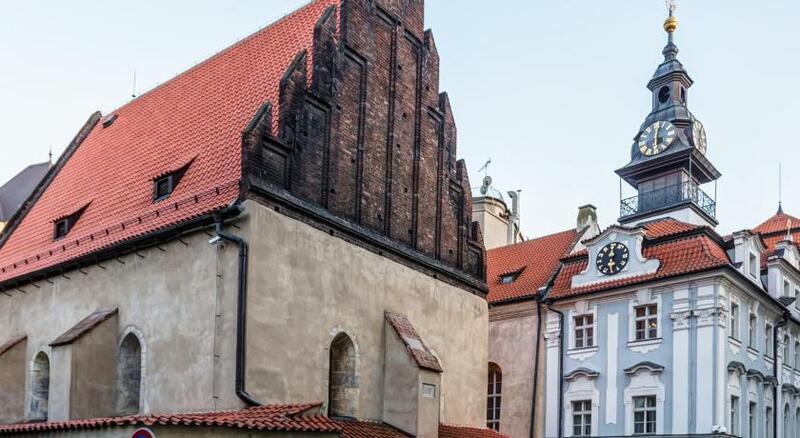 Old Town Square is a 5 minute walk and there are a lot of fun bars and restaurants in the neighborhood. The breakfast wasn't to our liking and hot food was served luke warm at best. You had to pay extra for coffee and mineral water in bedroom. Quite a few stairs to the room we were in. We seemed to have 2 single duvets instead of a double which were placed across the bed which was a nightmare through the night and very uncomfortable. Staff were pleasant although we did request a late check-out well before we arrived yet nothing was recorded and we were advised we would have to pay for another night. We were departing at 3pm anyway so we checked out as normal. Room got quite warm even in winter with all the heaters off and there is no fans or air conditioning. I'd imagine summer would be bad. Also the place is a bit of a maze with stairs so if you're not able bodied and struggle to carry luggage upstairs you may want to reconsider. Our room 22 also had the shower upstairs in the loft accessed via a narrow winding stair case which was a novelty for us but may cause some older people to struggle. 1 day out of three coffee machine out of order with poor replacement beverage. Bed mattress in room 105 would need renewal ! Room 13, though nicely updated, should be rebuilt because of total lack of intimacy when using the toilet quasi within the bedroom !! No WIFI! Room was old and small.